Severe storms may cause disruption in electrical service to our homes. State Fire Marshal Brian S. Geraci is cautioning citizens when using alternative light and electrical sources during power outages. “These easy to follow tips will help all Marylanders avoid injury or death during power outages,” said the State Fire Marshal. Use flashlights during power outages instead of burning candles. Keep plenty of fresh batteries on hand at all times. 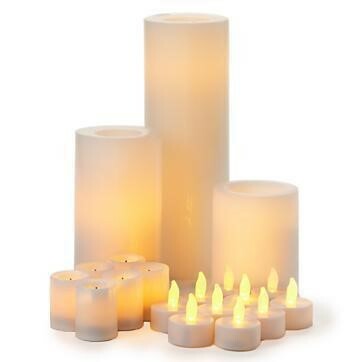 If you prefer the look of candles, consider flameless battery operated candles that offer the flickering light without the potential fire hazard. If using candles, make sure they are placed on a stable piece of furniture in sturdy holders that will not tip over. Candles should fit in the holders securely and the holders should be made of material that will not burn. Keep candles away from anything combustible, such as; clothing, books, papers, curtains, decorations or anything else that can burn. Do not place candles where they can be knocked over by children or pets. Always extinguish all candles when leaving the room or before going to sleep. Never use candles, matches or lighters if medical oxygen therapy is used in the home. Charged solar landscape lighting can be brought indoors for temporary lighting as a safe and effective alternative to candles. Ensure burners on stoves are in the off position during a power outage and remove any items from the stove-top to prevent unattended heating when the power is turned back on. Fuel burning appliances can produce the deadly, tasteless and odorless gas known as carbon monoxide. Install and maintain CO alarms inside your home to provide an early warning of carbon monoxide exposure. If you are depending on portable generators for electricity during power outages, use extreme caution when refueling. Fuel splashed on a hot muffler could ignite, causing severe burns and serious injuries. Never attempt to refuel a generator while it is running. Always allow the unit to cool before attempting to refuel. Operate generators outside of the home and outside of garages. Carbon monoxide gas produced by operating generators is poisonous and can quickly cause severe injury or death. Ensure placement of the generator does not allow carbon monoxide to enter the home through windows, doors or other openings. The State Fire Marshal offers one final tip that is just as important. “Make sure your home is equipped with working smoke alarms and carbon monoxide detectors. These early notification devices are some of the most effective fire and life safety tools for preventing injury or death from fire and carbon monoxide poisoning”. This entry was posted on September 11, 2018 at 9:52 am and is filed under All News, Anne Arundel News, Calvert News, Charles News, County, More News, Prince George's News, St. Mary's News, z 600X120 Top Ad Bottom, z 600X120 Top Ad Top. You can follow any responses to this entry through the RSS 2.0 feed.